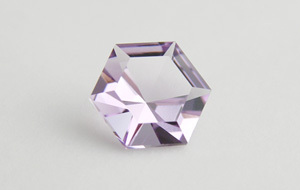 As gemstones we accept cut specimens of crystals of natural mineral species having a visible transparency and certain durability. From over 4800 known minerals (according to data of the International Mineralogical Association), approximately 150 satisfy the above conditions and form crystals of sufficient size to be cut. 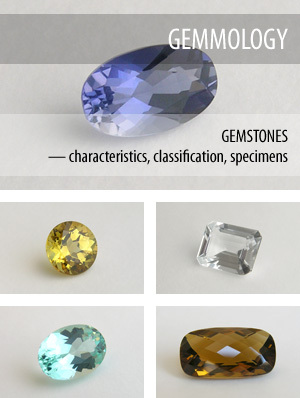 The section ‘Classification’ presents descriptions of 171 different kinds of natural gemstones (106 mineral species). The Nickel-Strunz systematic order (10th edition) is used. Since gemmology does not always follow the systematics of minerals in naming, many popular varieties or just ’names’ are listed. — Also known as sphene; a common accessory mineral in intermediate and felsic rocks, pegmatites, and alpine veins; in gneisses, schists, and some skarns (Anthony et al., 2001—2005). 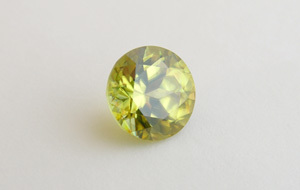 The section ‘Repository’ contains data and photos of 760 specimens of gemstones. The smallest is just 1.96 mm (0.02 ct) ruby from Mozambique, and the largest — 70.11 mm (326.60 ct) rock crystal from Africa. Besides there are 8 specimens of synthetic stones. Currently there are 283 bibliographical references and abstracts to publications with gemmological or mineralogical thematics in the ‘Library’. The section comprises also a glossary with 391 terms. Anthony, J. W., Bideaux, R. A., Bladh, K. W., Nichols, M. C. (Eds), 2001—2005 — Clinozoisite — Features the data of clinozoisite; from ‘Handbook of Mineralogy’. Weinschenk, E., 1896 — Ueber Epidot und Zoisit — Published in 1896 in ‘Zeitschrift für Kristallographie’; contains the original description of the mineral clinozoisite.